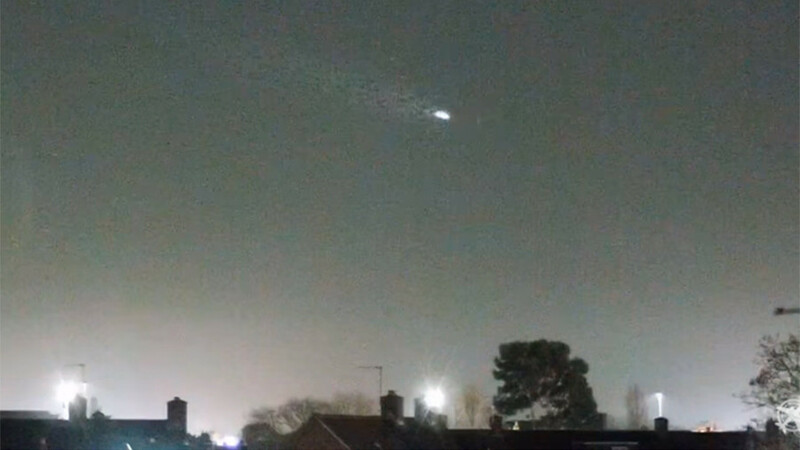 Incredible footage of a shooting star streaking across the sky and zooming past aircraft near London’s Heathrow Airport has been shared on social media. Video of the close cosmic encounter was captured by Airlive and posted Sunday. The mesmerizing meteor can be seen shooting across the sky before a low flying plane comes into view. Another aircraft can be seen coming from the opposite direction in the distance. The incident coincides with this year’s annual Leonid meteor showe – known for its fast and bright meteors. Meteors lit up skies across the world over the weekend, as the shower reached its peak on November 17 and 18. Named after the constellation Leo, the meteor shower takes place every year when the Earth passes through the debris field left in the wake of the Temple-Tuttle Comet. This creates shooting stars and streaks of light lasting less than a second as the cosmic debris burns up in our atmosphere. Images and videos of the Leonid shower were shared from around the world on social media as eager stargazers looked for the perfect snap.